Florida State’s Roderick Johnson has been voted the winner of the Jacobs Blocking Trophy, as announced by the Atlantic Coast Conference on Sunday. The Jacobs Blocking Trophy has been awarded annually since 1953 to the player voted the most outstanding blocker in the ACC by a poll of the league’s head coaches and defensive coordinators. With Johnson’s selection, seven Seminole offensive linemen have now claimed the honor a combined 11 times. This marks the third consecutive year that a Florida State student-athlete will receive the award. The trophy is given in memory of William P. Jacobs, who served as president of Presbyterian College from 1935 to 1945. The 2015 trophy will be presented at the ACC’s Night of Legends event, which will be held this Friday (5:30 p.m.) at the Charlotte Convention Center as part of festivities surrounding the Dr Pepper ACC Football Championship Game. Johnson, a 6-foot-7, 323-pound sophomore from Florissant, Missouri, earned the Jacobs Blocking Trophy in his first full season as a starter on Florida State’s offensive line. After making a strong impression starting the final five games of his freshman season and helping the Seminoles to the ACC championship in 2014, Johnson picked up where he left off this fall. The standout left tackle earned ACC Offensive Lineman of the Week honors on September 14 for his play in the Seminoles’ win over South Florida. He has played a prominent role throughout the season paving the way for ACC rushing leader Dalvin Cook – who has run for 1,658 yards and 18 touchdowns in 11 games – and protecting the Florida State passers. Johnson is a big reason that Florida State ranks fourth in the ACC in total offense and averages over 32 points per game. Johnson amassed 20 total points in the coaches’ voting to capture the 62nd ACC Jacobs Blocking Trophy (no award was given in 1996). Duke’s Matt Skura and North Carolina’s Landon Turner tied for second place with 14 points each, while Pitt’s Adam Bisnowaty placed fourth with 12. 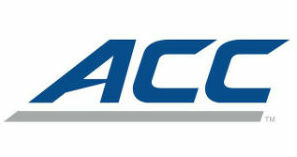 In all, 17 ACC offensive linemen received votes in the balloting. Past Florida State winners of the Jacobs Blocking Trophy included four two-time recipients in guard Rodney Hudson (2009 and 2010), tackle Brett Williams (2001 and 2002), center Clay Shiver (1994 and 1995) and tackle/center Cameron Erving (2013 and 2014). Tackles Tra Thomas (1997) and Tarlos Thomas (2000) were each honored once.